Fork Truck Direct recently delivered two materials handling vehicles to British Gaskets, a privately owned manufacturing company specialising in plastics, engine parts, mouldings and bespoke sealing products. They create products to serve the automotive, aerospace, oil and gas industries, and many more. The company has been trading since 1925, entering the market as a gasket manufacturer. Over time, they diversified their offering and product range to include rubber and plastic mouldings, among many other products. The company contacted us when they realised that their warehousing operations would be better served if they were to bring in new equipment. Their specific brief was that they wanted improved warehouse functionality, and increased lifting capacity. We provided a consultation with them to discuss which of our products would help them achieve their aims. After some discussion we decided on two trucks that would help British Gaskets achieve their aims. The first was a Narrow Aisle Flexi truck; the chief benefit of this truck is its slimness – allowing it to operate in tight spaces – as the name Narrow Aisle suggests. The second truck was a Doosan 5 tonne diesel forklift, which was chosen to help British Gaskets with their lifting capacity. The company requires large steel tools to be lifted fairly frequently, and their previous machinery was not doing the job properly. 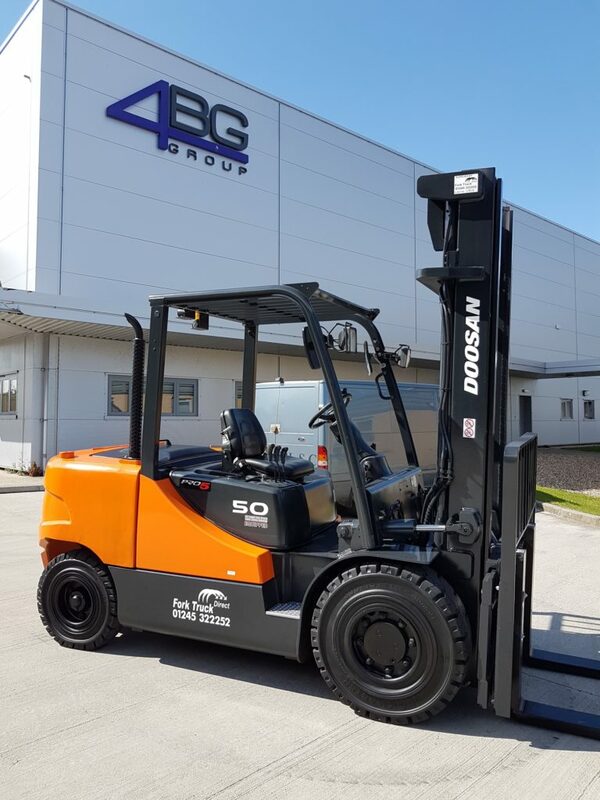 With their new Doosan forklift, they are able to carry out this task with no problems whatsoever. Fork Truck Direct is delighted to have British Gaskets on board as a customer and look forward to building our relationship in providing all of their future material handling needs.